1. 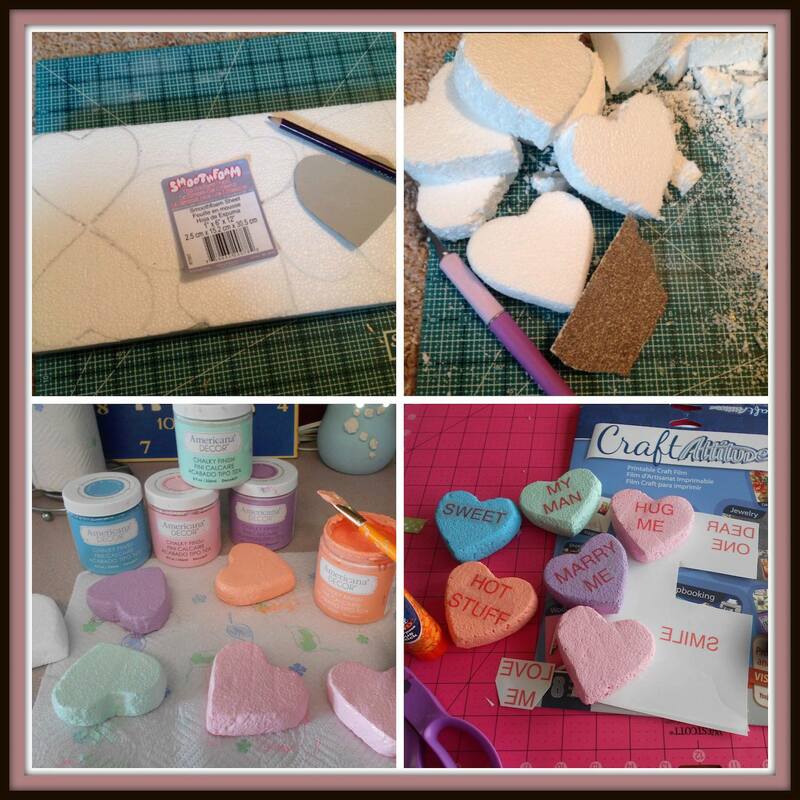 Cut out a heart template from cardstock approximately 2-1/2″ across at the widest point and trace as many foam conversation hearts as you can fit onto the Smoothfoam sheet. 3. Sand all the edges smooth, then paint the hearts in various colors and let dry. 4. Spell out the text for each heart on your computer and print on Craft Attitude film following manufacturer instructions – be sure to reverse the text before printing. 5. Cut around the text, peel back the paper liner and adhere the film to each heart with a glue stick. TIP: You can use pre-cut Smoothfoam hearts instead of cutting your own. 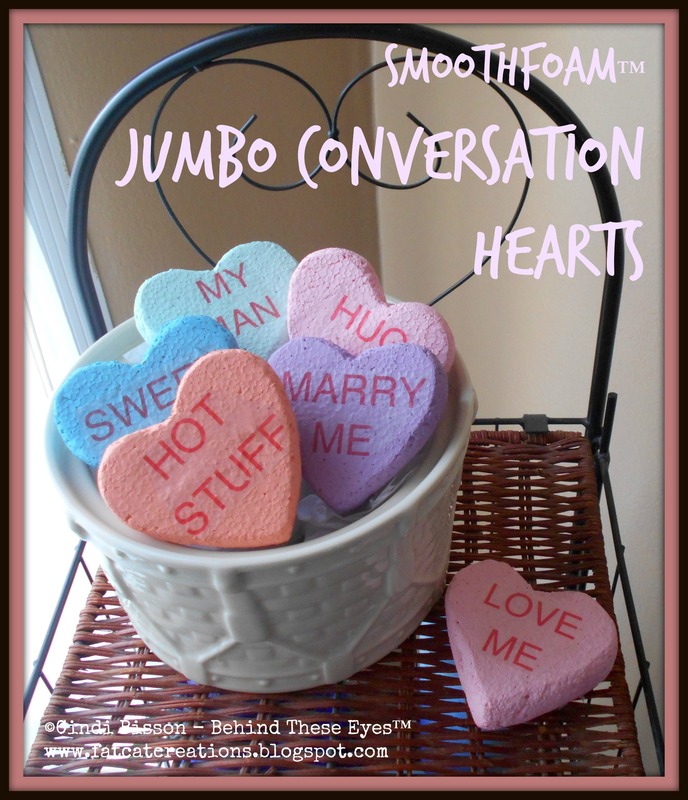 This jumbo conversation heart craft is perfect for creating homemade Valentine’s decorations! This entry was posted in Holiday Crafts and tagged Heart, Pink, Purple, Sheet, Valentine's Day by Cindi McGee. Bookmark the permalink.